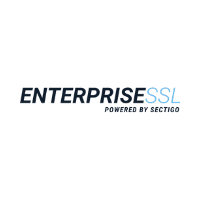 The EnterpriseSSL Pro certificate is issued by Sectigo. Includes support for ECC technology providing stronger faster encryption. Get your business's details in the details of your SSL certificate. Also available as an Extended Validated option.